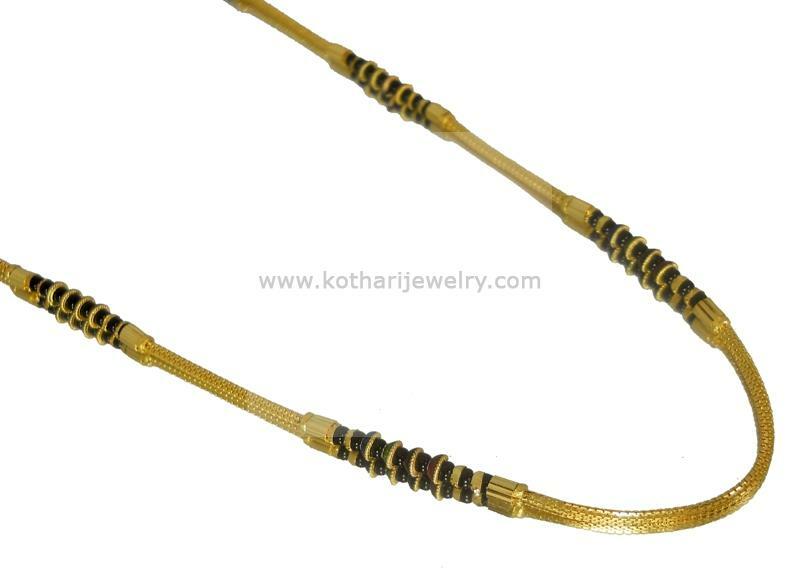 A simple but fancy daily wear mangalsutra gold chain without any pendant. The black beads are studded between gold chips of blue, green, black, red meena at regular intervals. The chain mangalsutra is 22 carat pure hallmarked.